With its cuboid shape and contrasting colours, the Mineur LED terrace light is a very modern light source. The satin white diffuser sits within the anthracite-coated, die-cast aluminium cuboid. The warm white LEDs sit behind this diffuser. Thanks to the large, durable carry handle on the outer aluminium panel, Mineur can be easily moved to the desired location, perhaps on the terrace or lawn. It is perfect for use outdoors thanks to its high IP code of IP65. The light features a 2.75 m long cable with plug. 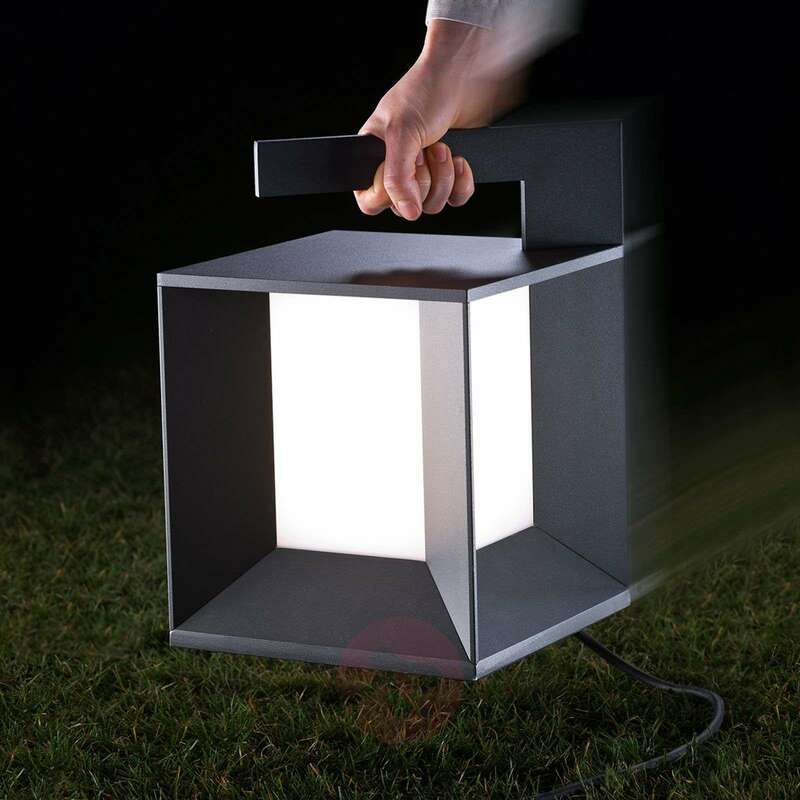 Mineur impresses with its timeless beauty, its incomparable light output and its portability.